Shortly after BJP IT Cell chief Amit Malviya's tweet sparked a controversy by tweeting the dates for the Karnataka Assembly Elections even before the Election Commission, a delegation led by Union Minister Mukhtar Abbas Naqvi will meet the Commission officials in connection with the incident. The Election Commission announced on Tuesday that Karnataka would go to the polls on May 12, 2018. Date of notification will be 17 April 2018 with the last date of nomination being 24 April. Candidates can withdraw their candidature by 27 April. The social media heads of both national parties announced that results of the Karnataka assembly polls will be declared on May 18, while the EC announced that the results will be declared on May 15. In current assembly, the Congress is now in power, with 122 seats against the BJP's 43. Congress President Rahul Gandhi tweeted: "Now that the BJP IT cell has announced Karnataka elections, time for a sneak preview of our top secret campaign video!" "There has been BJP govt in Gujarat, Madhya Pradesh and Chhattisgarh for the last 15 years and farmer suicide numbers in these states have been very low", Amit Shah said. The rebel MLAs resigned from the Karnataka legislative assembly a day after they cross-voted in favour of the Congress candidates in the March 23 Rajya Sabha biennial election in the state. EC Commission to Take Action on Leaked Dates: CEC The Chief Election Commissioner OP Rawat said that "certain things may have leaked" for which the body "will take action". 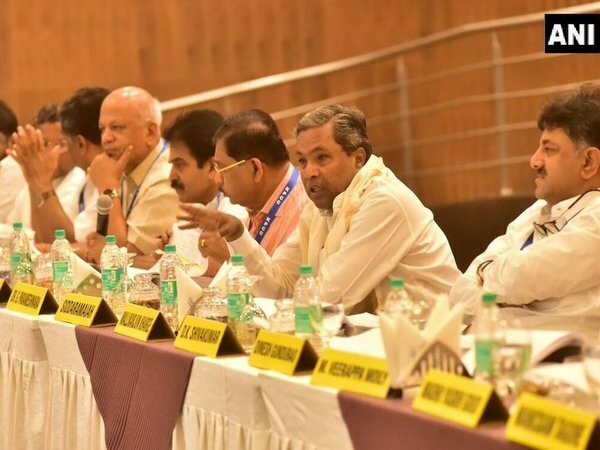 Shah said the BJP government at the Centre had done a lot to develop Karnataka. Shah's gaffe delighted Congress' functionaries who took the opportunity to slam BJP and reiterate that Yeddyurappa is a corrupt politician. In a first, one all-women managed polling station in each assembly constituency would be set up where the entire polling staff, including the police and security personnel, will be women. The Congress has picked incumbent Chief Minister Siddharamaiah as its CM face, while the BJP has nominated former CM B.S. Yeddyurappa. "But when the 14th finance commission was implemented after the BJP came to power at the Centre, funds for Karnataka were increased to Rs 2,19,506 crore".